The 3-Prong Electrical Converter helps save you time and money by stopping your hunt for two outlets on separate circuits. 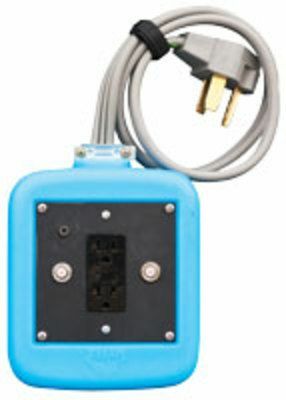 With the 3-Prong Electrical Converter, you simply plug into a single 230V, 30 amp outlet, and the converter splits a single outlet into two 115V outlets. This helps prevent circuit breaker blowouts and a time-consuming search for the breaker box.